SC50 Canvas & Leather Shell Pouch is made from heavy-duty canvas and given a leather touch. It has two spacious inner sections for holding shell and empties. 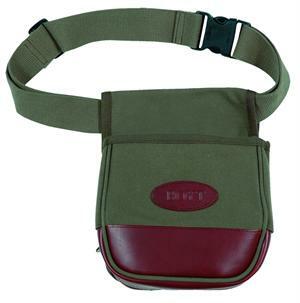 It also features a strong web belt and comes in Olive Drab and Khaki color.